Calculate the value of a business in today’s dollars based on its earning power and risk. Use the method favored by professional business appraisers and seasoned investors to determine the value of established firms and start‑ups. How does it work? 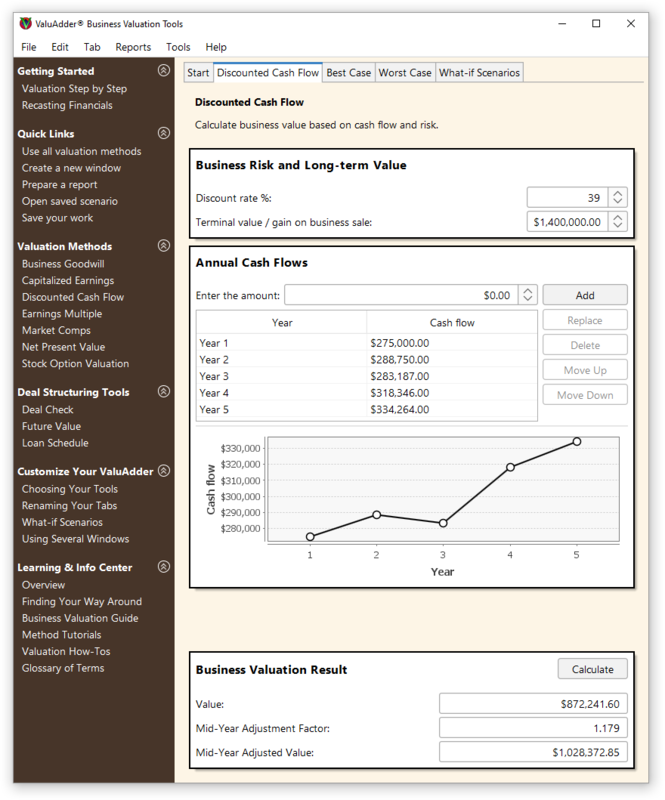 Run quick what-if scenarios by editing your cash flow projections, re‑assessing the company risk and long-term value.